I have a really serious chocolate chip cookie addiction. I am constantly trying different versions of chocolate chip cookies. Still to this day, my favorite are my coconut chocolate chip cookies. 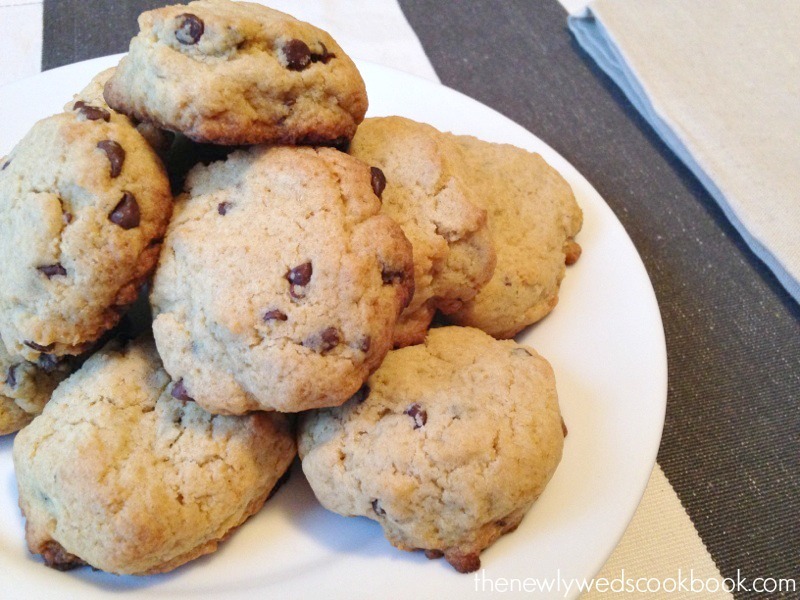 Today, I was searching the web for a new recipe to try and I stumbled upon a blog with chocolate chip cookies sweetened with Truvia, which I haven’t tried before. Forrest, being the sweet husband he is, made a quick trip to the grocery store to grab me a bag of Truvía Baking Blend (and cheez-its, of course!) 🙂 Here is the recipe from the blog, What’s Gabby Cooking?, with my own alterations added in as well. 2. Whisk together flour, salt and baking soda in a small bowl. 3. Beat butter, Truvía® Baking Blend and vanilla in a separate large mixing bowl. Mix in the egg. 4. Gradually stir in flour mixture. Stir in chocolate chips. 5. Drop rounded tablespoon on cookie sheets and press down to slightly flatten. 6. Bake for 8 to 10 minutes or until lightly browned.